Tehran will conduct massive missile drills to test and evaluate precision-striking capabilities and strengthen missile deterrence power. MOSCOW (Sputnik) — The Islamic Revolution Guards Corps (IRGC) will hold large-scale missile drills in late February, the chief of staff of the Iranian Armed Forces said Monday. 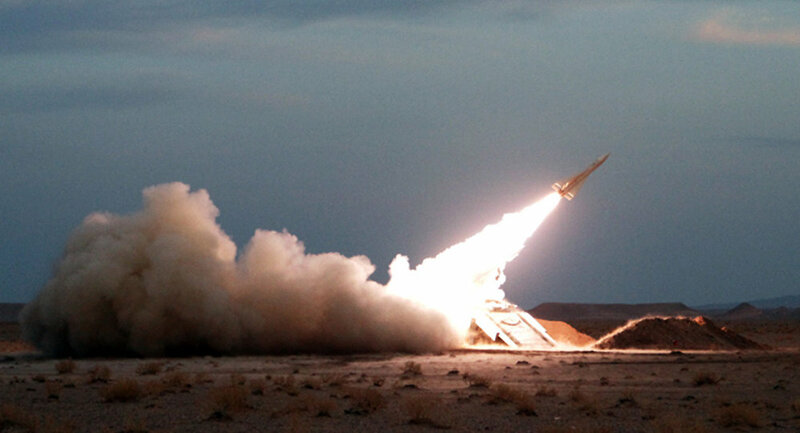 "The IRGC missile wargames have been communicated to be staged in the first half of Esfand," Maj. Gen. Hassan Firouzabadi said, as quoted by the Fars News Agency. The Iranian month of Esfand takes place on February 11-March 5. "Testing and evaluating precision-striking capabilities and power, increasing the Armed Forces' preparedness, and strengthening the missile deterrence power are among the main goals of the drills," Firouzabadi added. The international community has long suspected Iran of trying to develop a nuclear weapon, and the UN Security Council imposed two resolutions on Tehran seeking to curtail its activities involving ballistic missiles. Last July, Tehran agreed with six world powers to limit its nuclear program in exchange for the lifting of economic sanctions. Following new US restrictions, Iran’s Armed Forces Commander Ayatollah Salehi said his country would continue developing its missile program since it did not violate the July deal on the Iranian nuclear program. In October, Iran tested a surface-to-surface Emad (Pillar) missile, allegedly in violation of a UN Security Council resolution. Washington reacted by sanctioning 11 entities and individuals, including six Iranians and one Chinese citizen, over their involvement in procurement on behalf of Iran’s ballistic missile program.